The nights are pulling in, which means the summer is coming to an end. While this, for many, is a depressing thought it really shouldn’t be. Perhaps it has something to do with the topic of today? Vitamin D deficiency. Vitamin D deficiency truly is an epidemic. The National Diet and Nutrition Survey in 2011 estimated 90% of the general population in the UK have insufficient serum levels of Vitamin D. This is a significant stat, especially when you consider vitamin D deficiency has been associated with: fatigue, joint and back pains, low mood, general muscle weakness, high blood pressure, constipation and diarrhea, weight gain, poor concentration, increase in incidence of infections and failure to respond to training stimulus. The list could go on. The first question that springs to mind is why is this number so high? There are the obvious reasons such as the fact that we are rarely outside these days, and when we are, we’re (hopefully) wearing clothes and told to wear sun cream. But did you know that for over half of the year here in the UK, the sun just isn’t strong enough for our skin to be able to produce vitamin D? So even if you were outdoors most of the day, naked, for the majority of the year it wouldn’t even matter!! This is a huge factor considering we really can’t get enough vitamin D from our diet, no one will debate this. A client and I were having a laugh yesterday, as this is a great marketing campaign for the tourism industry! Us Brits really need our winter sun to top up our vitamin D levels! A leaky and inflamed GI tract – which is extremely common in people with low thyroid function. High cortisol levels (caused by stress or medications like steroids) are associated with lower vitamin D levels. The synthesis of active vitamin D from sunlight depends on cholesterol. Stress hormones are also made from cholesterol. When the body is in an active stress response, most of the cholesterol is used to make cortisol and not enough is left over for vitamin D production. Obesity reduces the biologic activity of vitamin D. Obese people have lower serum levels of vitamin D because it gets taken up by fat cells. Not eating enough fat or not digesting fat properly reduces absorption of vitamin D. Vitamin D is a fat-soluble vitamin, which means it requires fat to be absorbed. People on low-fat diets, and people with conditions that impair fat absorption (like IBS, IBD, gall bladder or liver disease) are more likely to have low levels of vitamin D.
A variety of drugs reduce absorption or biologic activity of vitamin D. Unfortunately, these include drugs that are among the most popular and frequently prescribed – including antacids, replacement hormones, corticosteroids, anticoagulants and blood thinners. Aging reduces the conversion of sunlight to vitamin D becomes. Inflammation of any type reduces the utilization of vitamin D.
While the evidence is very strong for the need to supplement vitamin D we need to be aware that we can create vitamin D toxicity. 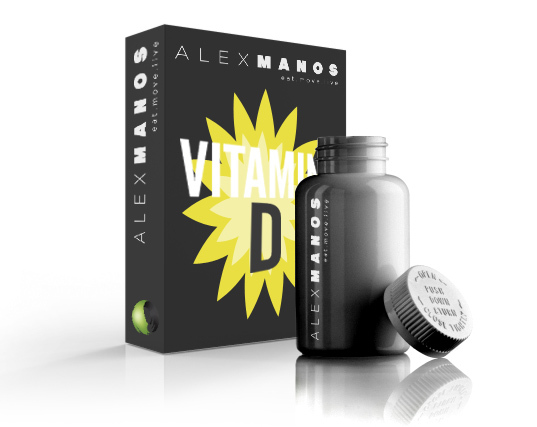 In fact I have seen this in several personal trainers who are so passionate about their health and performance they have put themselves on high doses of vitamin D. For some this may be okay; but if you do his without knowing your levels, for a relative long period of time, without testing to check your levels have been restored, this may cause vitamin D toxicity. What are signs of vitamin D toxicity? Clinical signs of vitamin D toxicity include kidney stones, low appetite, nausea, vomiting, thirst, excessive urination, weakness and nervousness. Elevated calcium in the blood is a sign of vitamin D toxicity and a significant risk factor for cardiovascular disease. Adequate intake of foods rich in vitamin K2 and vitamin A are also important to prevent vitamin D toxicity. So a deficiency in vitamin A and vitamin K2 would lower the threshold for vitamin D toxicity. Sources of vitamin A include organ meats, cod liver oil and full-fat milk and cream from grass-fed cows. Sources of vitamin K2 include fermented foods like natto, hard cheeses and kefir as well as egg yolks and butter from grass-fed cows. Generally, sunlight is considered to be a safer way of meeting your vitamin D needs if you can. As already mentioned that’s not possible for us for most of the year. Your skin tone is another factor, because midday sun exposure of 15 to 20 minutes in a light-skinned person produces about 10,000 IU of vitamin D, but in a darker-skinned person, it could take up to 2 hours to produce that same amount of vitamin D.
Also there is a feedback mechanism in regards to sunlight and vitamin D production. We have the ability to slow down the conversion of ultraviolet light into vitamin D, whereas when you supplement you don’t have this feedback. You’ll absorb more and more and more. So where does this leave us in regards to ensuring healthy vitamin D levels all year round? Well, it has been concluded that in the absence of sufficient cutaneous vitamin D3 production (which we in the UK will have for over half the year), maintenance of vitamin D sufficiency is routinely achieved by the daily consumption of dietary supplements containing vitamin D3. So I now recommend to the vast majority of my clients that we test their vitamin D levels, three times a year. Because of its frequency, its ease of detection, its associated adverse outcomes, and the straightforward, inexpensive and effective means by which it can be treated, vitamin D deficiency should be investigated when expressing any of the symptoms listed above. Retesting is so important because, as is the case with many other nutrients, perhaps all nutrients, there is a U-shaped curve for vitamin D, which means too little of it is not good, but too much of it is also not good. So treatment of vitamin D deficiency has two phases: 1) restoration of vitamin D levels; and 2) maintenance of the serum vitamin D in that range. Vitamin D testing will soon be available in the shop section of my website for easy and convenient access. In the meantime do not hesitate to contact me with any questions you may have.